Another Wild Horse advocacy group reporting shots fired near their property. 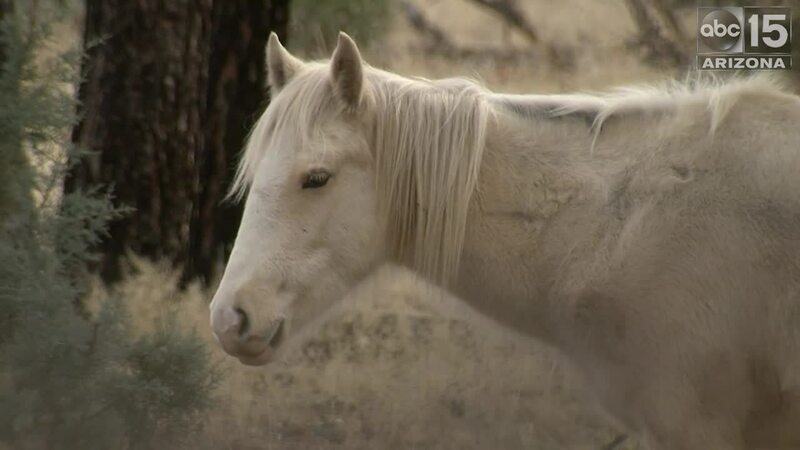 HEBER-OVERGAARD, AZ — Hidden in the towering pines and tall grasses of the Apache-Sitgreaves Forest is a small Palomino filly, born wild, she doesn't have a name, and now she doesn't have a family either. "It makes me sick. It makes me sick to my stomach," trail guide Wayne Ramey says. Ramey and fellow trail guide Robert Hutchison showed us the horse's mother, shot dead just a few hundred yards away. The body of her father is also nearby. Locals used to call him "Raven" for his beautiful dark coat. "It makes me sick. It makes me sick to my stomach." "They shot him and broke his front leg. They shot him through the eye," Ramey explains. 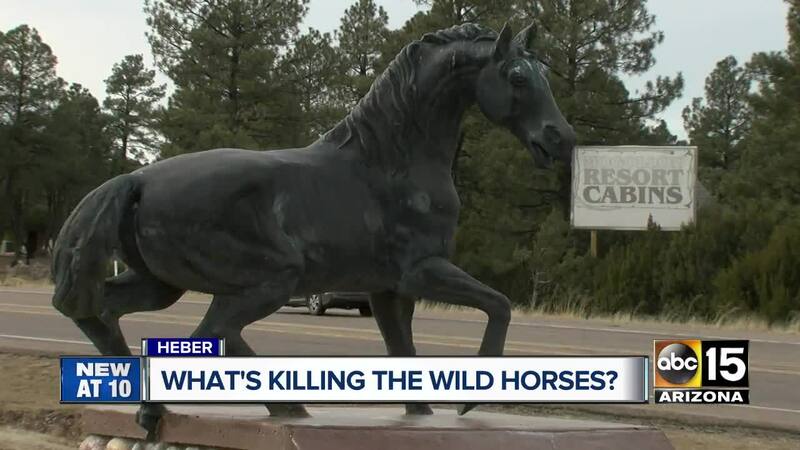 Just this month, the remains of seven wild horses have been found in this area of forest land, four of them less than half a mile outside the Heber-Overgaard town limits. 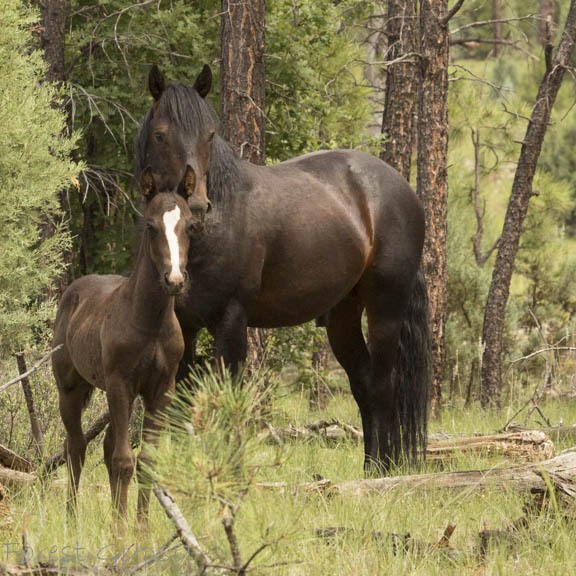 On Friday, more wild horses were found dead in the Apache-Sitgreaves forest. Three more are now dead. 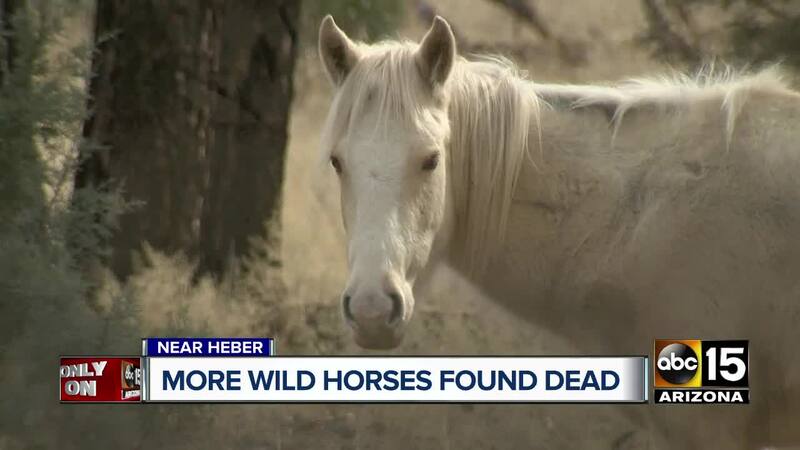 A volunteer from the Heber Wild Horse Freedom Preservation Alliance was searching for an injured mare that her group had been monitoring, when she found the remains of two horses. A Forest Service team responded and is working to determine if the animals were shot. The injured horse was also found, but because she couldn't get up the decision was made to euthanize her. The animals were discovered about two miles east of the area where seven other wild horses were found dead. Ramey, who made the initial discovery in early January, believes the animals are deliberately being gunned down. The Forest Service has not said what they believe killed the animals, but isn't ruling out gunshots. At least ten of the federally protected wild horses have been killed since the beginning of January. "I don't want to be out there now," resident Robin Crawford says. "You won't catch me riding out there by myself, or even in a truck by myself. I don't feel safe at the moment." In a community that relies on tourism dollars, fear of what, or who, is in the area doing this is bad for business. "We have people come from Germany, Italy, France. We have people who come from Romania," Hutchison says. "You won't catch me riding out there by myself, or even in a truck by myself. I don't feel safe at the moment." Visitors come to ride, hike, and camp in the forest, with many hoping to see the wild bands of horses that call the beautiful place home. "There's little kids and everything running around at times, women's groups having conferences, some church groups," Ramey tells us. The Forest Service has launched an investigation and is bringing in more resources, including drones, to assist in the investigation. While they won't discuss details, they say, "There is no evidence that leads investigators to believe there's a threat to the community or any additional animals." Wild horses in the area do have their detractors too, as ranchers worry they compete with cattle for grazing land, and the Forest Service remains caught in the middle, tasked with managing public lands for all. 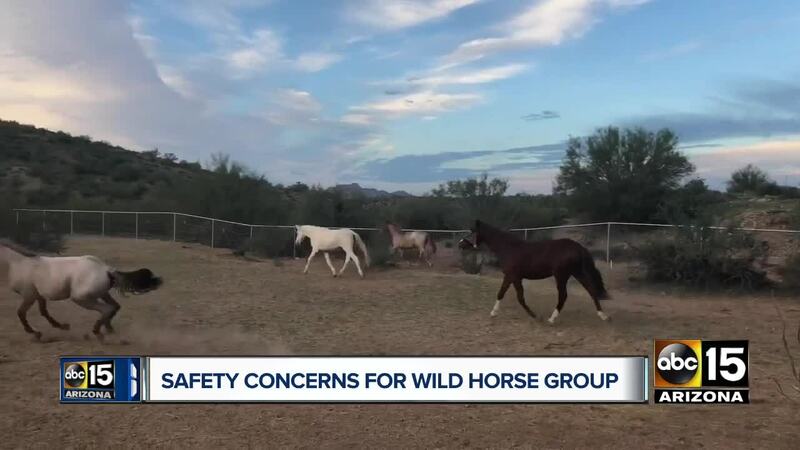 Forest Service officials believe most of the horses aren't wild at all, but rather strays that crossed over from tribal land after 2002's Rodeo-Chediski Fire. In 2005, a district court judge ordered the horses be federally protected until a collaborative plan could be developed. 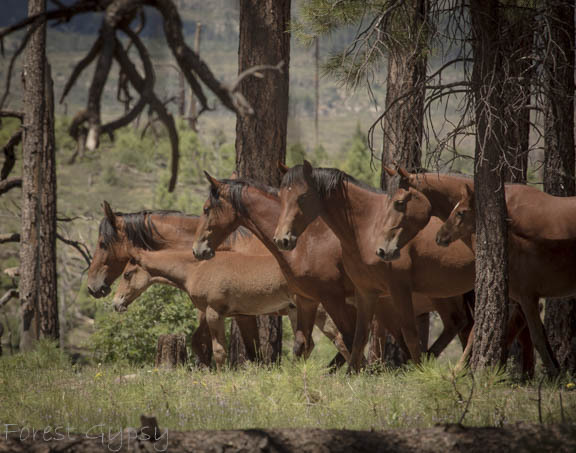 At last count, there were 272 horses in the Heber herd, smaller by ten now, and with a young filly left alone. Ramey says she still has a chance though. "Hopefully she'll meet up with a band of horses that come through here. She'll kind of join up with them if they'll accept her and she'll go with them."